The past few weeks I have been really into shampoos – whether they are for volume or shine, I’m really obsessed with them at the moment! I never used to be that interested in shampoos but I found that after investing in some good brands, you can really notice a difference in your hair! Around January time, Boots were selling this Christmas gift set from Mark Hill. The set includes a Shine Enhancing shampoo, Highlight Reflecting conditioner, Anti-Humidity shine spray and hairspray. 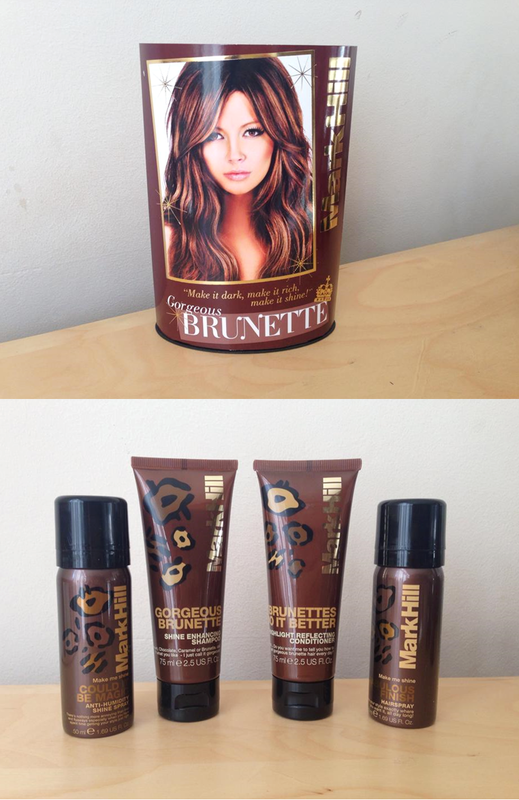 The entire set is designed for brunette hair, it helps add shine and richness without actually colouring it. Now although this is a limited edition gift set which I got in the sale for £5, I still wanted to talk about the Mark Hill take on brunette hair care. I think these products are amazing, they smell gorgeous and they do add a lovely shine to your hair. Thanks for introducing these wonderful products. I'm trying to take better care of my hair too.